Studio apartment on the ground floor of 40 square meters with private entrance and outdoor private space. 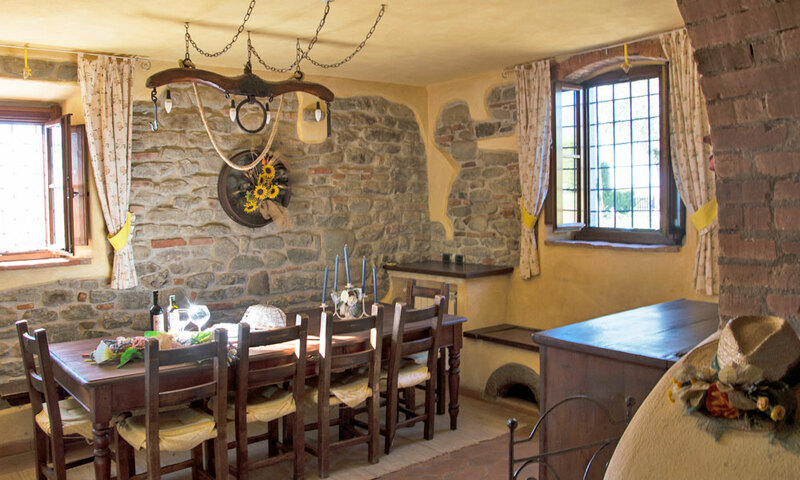 The interiors are very well kept and equipped with every comfort: living room with kitchen with electric hob, extractor hood, fridge, microwave, satellite TV, double bed, fireplace and bathroom with shower. First floor apartment of 70 square meters with private entrance and private outdoor space. The interiors are very well kept and equipped with every comfort: inside there are large double bedroom and a loft also with queen bed, large bathroom with shower, living room, kitchen with four burners, extractor hood, fridge, oven, sitting area, satellite TV and a fireplace. 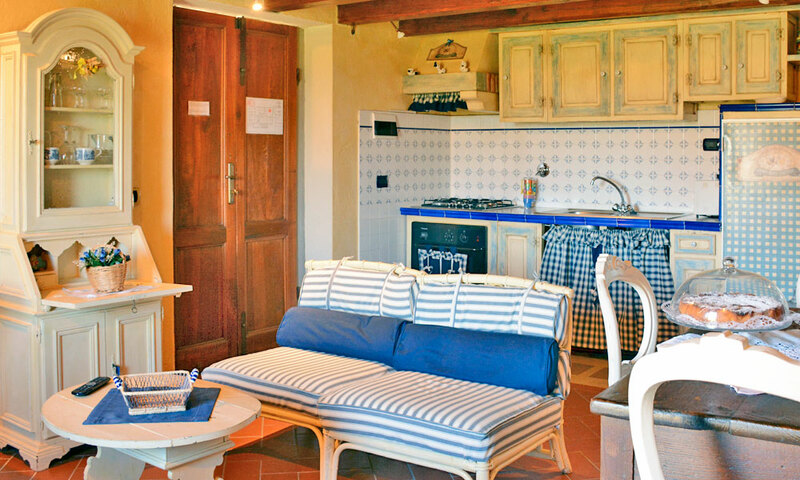 First floor apartment of 70 square meters with private entrance and equipped terrace with panoramic views. The interiors are very well kept and equipped with every comfort: inside there are large double bedroom and a loft with two single beds, large bathroom with shower, living room, kitchen with four burners, extractor hood, fridge, oven, sitting area, satellite TV and a fireplace. 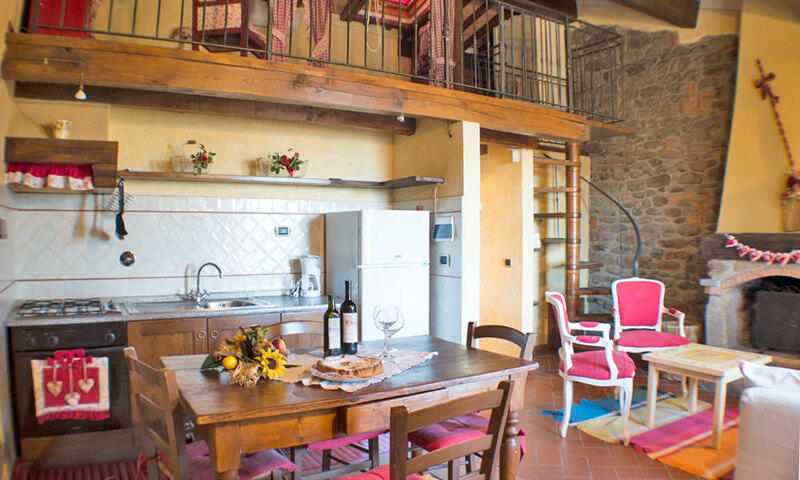 La Perla is a large apartment used as suites located on two levels, about 140sqm, direct access to garden and outdoor area with gazebo, table and chairs. The interiors are very well kept and equipped with every comfort: inside there are living room with sofa bed, bathroom, fireplace , dining room, kitchen equipped with dishwasher, fourburner stove, extractor hood, fridge, oven, wood stove, 2 double bedrooms with bathroom (one with Jacuzzi and the other with shower), with a bed and half. 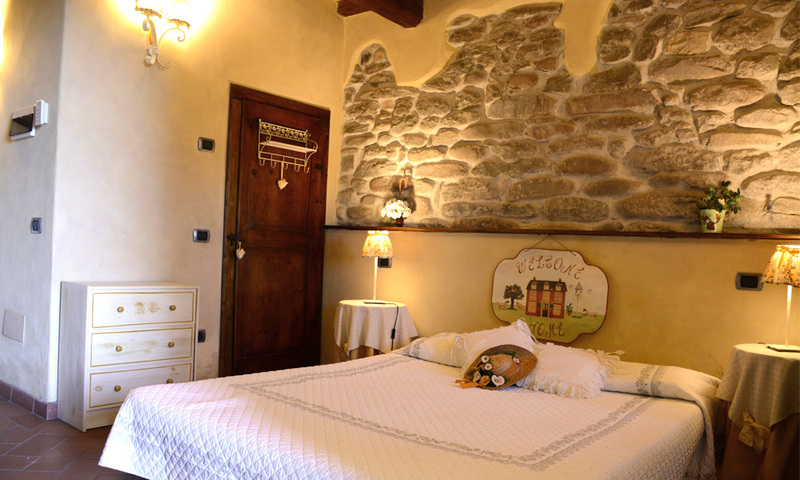 Podere Campiglia is an ancient farmhouse, surrounded by large green areas and located in the countryside of Tuscany.